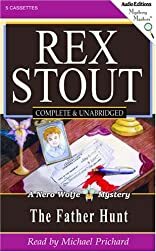 THE FATHER HUNT A Nero Wolfe Novel. The Father Hunt. A Nero Wolfe Novel. The Father Hunt was written by Rex Stout. The Father Hunt was published by Bantam Books for Young Readers.